A selection of our successful graphic design and internet development clients. To give you an idea of what we can do. 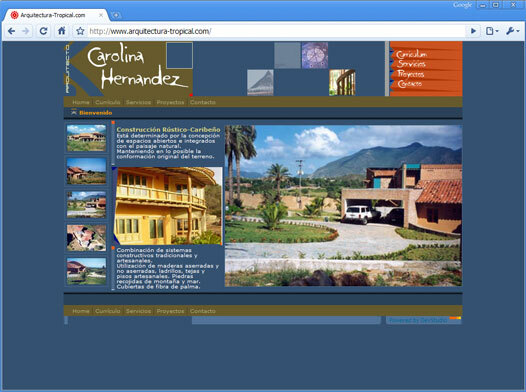 Architecture-Tropical.com is a website developed for the architect, Carolina Hernandez, who needed to show remotely the progress of her customer project's, also, spread through the internet his great talent as a professional. The design of this website is based on the style and trends in architectural and visual concepts of the architectural project's author, Carolina Hernandez. 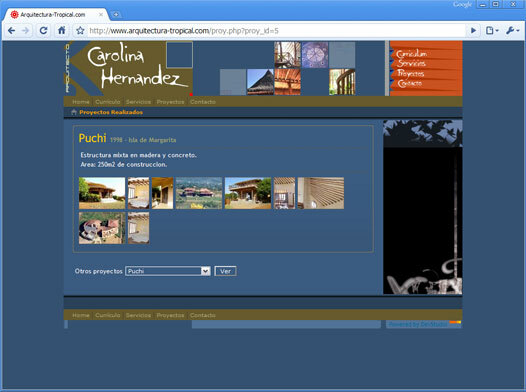 More than a website, is a web application where the owner can manage content, add new architectural projects, photos, etc. As well as modify the existing content. © Devstudio Limited 2010. All rights reserved.